Septentrio’s AsteRx4 OEM Board is a multi-frequency, dual-antenna receiver. This advanced, multi-constellation receiver has the ability to track all GNSS system constellations on both antennas, including GPS, GLONASS, Galileo, BeiDou, IRNSS and QZSS. Its ability to support not only current, but future signals, will ensure that you have accurate and robust positioning long term. The AsteRx4 offers the highest accuracy offered in the industry, down to the centimetre. Even through the heavy vibration of machines, LOCK+ technology will ensure that tracking is maintained, and under difficult ionosphere conditions, IONO+ technology will ensure position accuracy is maintained. The receiver’s technology will work to filter out ambient radio frequency interference. 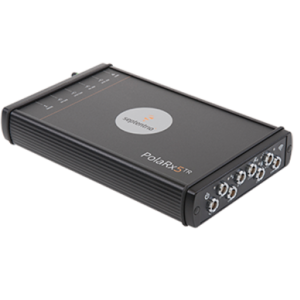 The AsteRx4 can be integrated seamlessly into your current systems. Sample code is provided to help you begin integration, and the command interface is specifically optimised for Machine-to-Machine (M2M) communication. The receiver is operable via an easily-accessible, built-in webserver.